Professional Kinesiologist and Social Worker. Isabel was introduced to Kinesiology in 1990 whilst exploring her own health issues. Fascination about the accuracy and depth of information obtained in this natural health modality led to her commencement of kinesiology studies in 1995. Isabel has been a qualified Social Worker since 1993, working with families & high risk adolescents in Non Government organizations. Isabel has also worked in hospital settings, supporting children & families, in particular in Cardiology and Intensive Care, and adults with Lymphoedema. Kinesiology encompasses the overall health and wellbeing of individuals. Isabel facilitates her clients to emotional, physical and spiritual harmony. Isabel also brings a commitment of personal growth and empowerment to kinesiology. 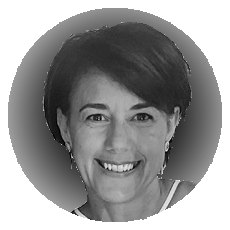 In her kinesiology practice, Isabel supports clients along their journey of self discovery and self growth. "A Balanced Body in a Balanced Body for Optimum Health"